Erwin Wiersinga is organist of the Dutch Reform Church in Roden. He teaches organ at the "Universität der Künste" in Berlin and at the Prins Claus Conservatoire in Groningen. In 2014 he was appointed, together with Leo van Doeselaar, as titular organist of the famous Arp Schnitger organ in Groningen. 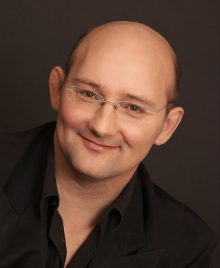 Erwin Wiersinga (1962) studied at the Conservatory in Groningen with Wim van Beek and gained the Performer’s Diploma with distinction in the organ. He also has the Performer’s Diploma in piano. He gives regular concerts in the Netherlands, in Europe as well as in Korea, China and Japan. In 2006 he was soloist in The Berliner Staatsoper in the opera Doktor Faust under the direction of Daniel Barenboim. He is also active in various professional orchestras including the Royal Concertgebouworchestra, where he has worked with such conductors as Mariss Jansons, Ricardo Chailly Ivan Fischer and others.